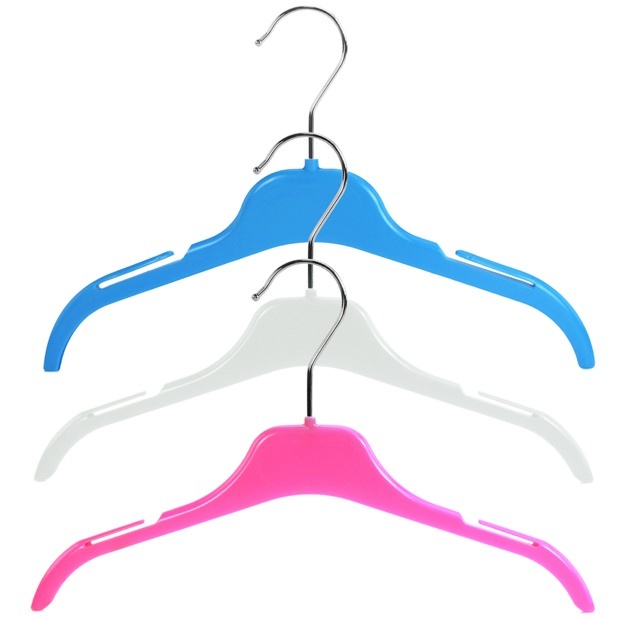 Good value, practical & colourful hangers. Ideal size for hanging baby & toddler clothes. 1cm profile for added strength and support. Swivel polished metal hook with smooth end. Upper skirt loop and strap slits. Available in pink, blue, white and mixed. Size: Width 30cm (12") approx.